These nifty Eco Refill Pouches hold 3 liters of 58’s Handcrafted London Dry Gin. Each portable pouch is equal to 6 standard (50cl) bottles. 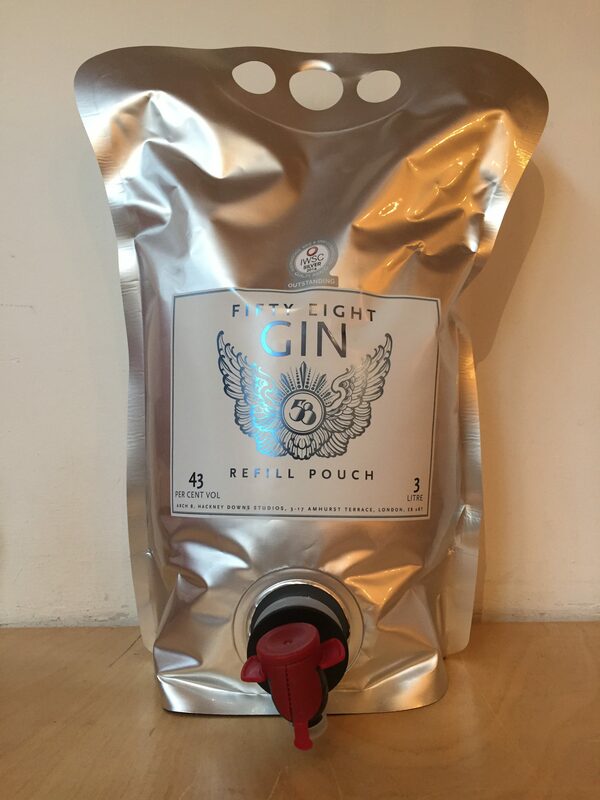 There’s no more perfect way to transport your 58 Gin to festivals and boozy picnics.